One of my favorite things about homesteading is making what I need rather than buying it from the store. I love being self-sufficient and the challenge of living off of what we have. If I run out of something I just head to my kitchen or feed room to make what I need. Not only that, but imagine how much money you could save if you made what you needed rather than bought it? And let’s top it all off with the health benefits of homemade. Whether it be food, cleaning supplies or personal products. Making things yourself is just, well, better. A big gallon jug of pink udder wash. I blindly used that jug that the first year never stopping to read the ingredients. I took a long look at that udder wash and I was beyond shocked at the abrasive chemicals it contained. And for months I had been putting that on one of the most sensitive parts of my goats! Looking back I cringe to think of what I was doing. I was blindly trusting manufacturers to make decisions regarding the care and well-being of my goats FOR me. The beauty of being self-sufficient is you make your own decisions. All the way down to the ingredients. The choice was mine now to make. I began researching homemade washes but all the recipes I found contained, of all things, bleach. And no matter how small the amount was, I just wasn’t comfortable using bleach. So back to the drawing board I went. I then discovered that wonderful world of essential oils. I know, I know, everyone is preaching essential oils. I was a skeptic once too. 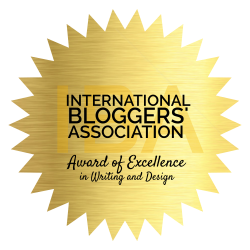 Then a crazy thing happened. check out: Essential Oils. My Skeptical Journey. I tried them for myself. Long story short. I am a skeptic no more. I adore oils and the ability to create natural remedies for my animals and my family. I cannot tell you how amazing it is to need a product and in just a few minutes I can make it without running to the store and raining a myriad of chemicals down on my home. 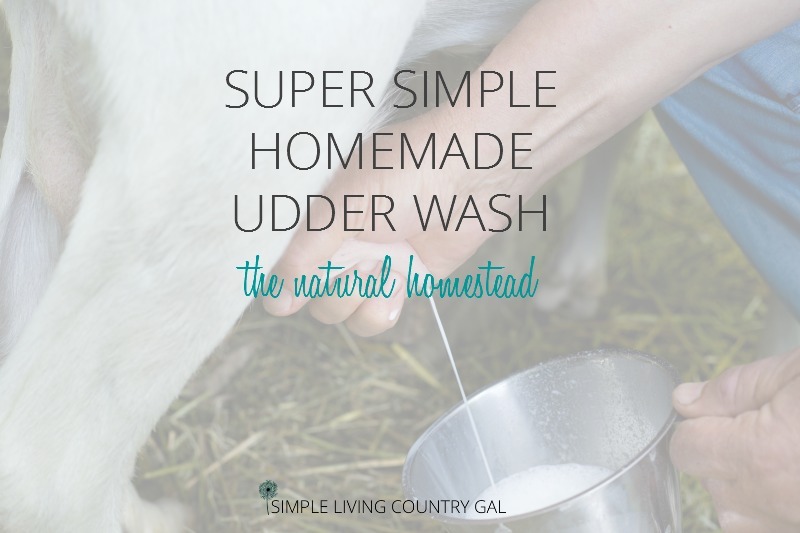 My friends, let me now introduce you to my uber easy peasy udder wash. Mix directly into a container. 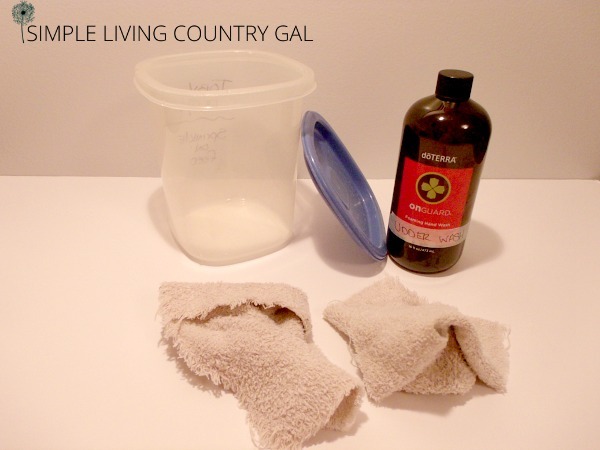 Add 1 or 2 reusable cloths. Put on your lid and you are all set! Oh, and my gals love it too! I swear I can see them relax when I wash their udder. The warm sudsy water not only calms them but helps release their milk too. Now, if you are not in to essential oils, you can get also make udder wash with warm water and a little Dawn dish soap. Dawn is super gentle yet will clean the udder without harsh chemicals as well. No more am I dependent on those harsh abrasive chemicals. My goats are happy. My milk tastes amazing. And I am one step closer to being self-sufficient. « 6 Mistakes To Avoid When Grocery Shopping.